Explore historical and sacred temples in a Rolls Royce electric tuk tuk. Discover priceless art, jewels and royal artifacts in the national museum. Enjoy lunch in the Silk Road Café with views over the Mekong River. 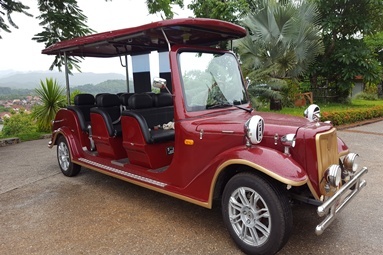 In the morning your Rolls Royce electric tuk tuk will pick you up from your hotel to begin the tour of the UNESCO World Heritage Site of Luang Prabang. 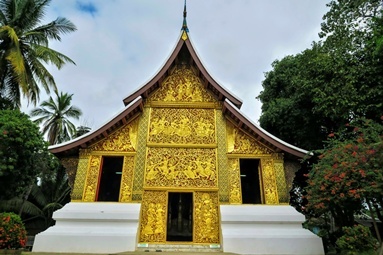 The first stop is at Wat Visoun (Wat Wisunalat), the oldest living temple in the city, dating back to 1513 and containing a collection of antique wooden Buddhas. From there, stroll down the main street of Luang Prabang. Stop at some of the many temples that line its sides, including Wat Sibounheuang, Wat Si Moungkhoun, Wat Sop and Wat Sene. 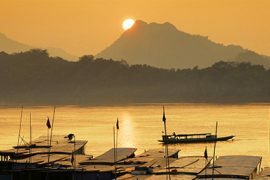 Continue to Ock Pop Tok for lunch at the Silk Road Café with views over the Mekong. From here hop back into the tuk tuk and drive to the National Museum which once served as the Royal Palace. 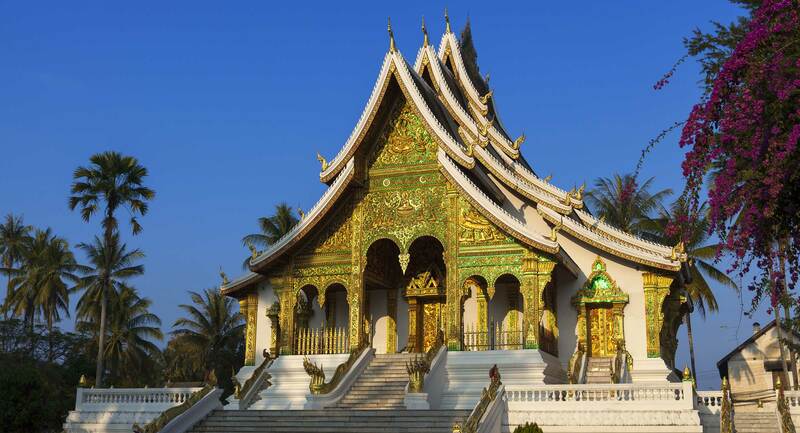 This modest but graceful building combines traditional Lao and French beaux-arts motifs and provides unique insights into the history of Laos. In one of the rooms is a collection of the palace’s most prized art. Among the jewels and priceless exhibits is the Phrabang, a beautiful Buddha cast from a gold, silver and bronze alloy. 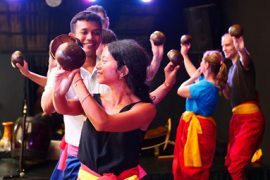 After strolling around the museum visit Wat Mai before returning to your hotel.